I began writing this as we drove through (stress not, I was a passenger) the leafy green suburbs of Vancouver. Vancouver you ask? Long story - I will fill you in another time as there is indeed a story to tell. Prior to the leafy suburbs we traversed the concrete and steel industrial jungle between the leafy suburbs, and that is where the inspiration for this post came from. We passed a group of casino workers braving the elements to strike in protest to, I am assuming, pay and conditions. I wondered about their effectiveness for awhile, and that wondering lead me to the Primary Principals and Teachers Collective bargaining being currently undertaken back in New Zealand. And I sensed that there was going to be 'trouble in them thar hills' any moment now. I am back in Auckland, and I was right. If you are new to my blog - welcome - if you are an old hat, apologies for the 'dry spell'. In the madness that is the juggle of leadership, new responsibilities in the profession, a heavy study load (because when you are not busy enough in your life, you get convinced that doing a Diploma in Coaching in one year whilst working full time is a great idea - hmmm) and family commitments, something had to give. My blog and vegetating out in front of a Netflix binge are the balls that I dropped. However, I am back! 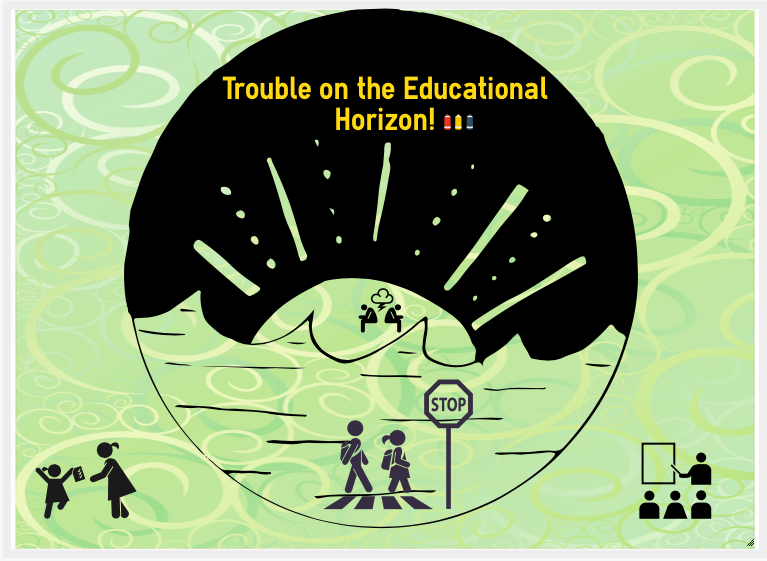 There is a crisis occurring in Education, and folks, this is serious - really serious! We have teachers leaving in droves, a large percentage of our workforce about to retire (with others postponing retirement), lessening numbers of people entering training and graduates dropping out of the job faster than I can type this post! I call it the 40% problem! 40% less are being trained! Math may not be the thing that spins my wheels, but even my Math skills say those statistics above add up to one big headache! The crisis is past crisis point already in Auckland, and other parts of the country are finding themselves in the same position Auckland was in only a short few years ago. The issue in Auckland is confounded by the huge number of teachers who are leaving the city to seek refuge in other parts of the country where their wage will go further! When we take this aspect in to account along with the 40% Problem, Auckland is haemorrhaging teachers. What exactly is this ‘crisis’ the profession is concerned about? 1. There are less and less people applying for jobs. In many cases in Auckland, schools are getting NO applicants. Yes, you read that correctly, NO applicants. Gone are the heady days where I could get 140 – 200 applications for a single job, these days I am happy if I get 1-4. First, the applications dropped to around 20 (which is what principals anecdotally tell me is happening in other areas), then it dropped to few or nil. Sometimes the applicants are unable to be considered because they are not even trained teachers, just wishful thinkers! It is bad any time of the year but try getting a teacher to open a New Entrant class for later in the year and you are more likely to have luck finding a Unicorn in your garden! 2. If you think finding a classroom teacher is bad, try finding a reliever (those wonderful and essential beings that come into your school to teach a class when the day to day teacher is sick or attending professional development). These magical beings are even more rare – especially now, as by this time of the year most of them have been snapped up by schools needing someone in front of their classes. 3. The problem is not just a Primary school issue – our secondary schools are struggling, and for them they have the additional headache of finding specialists, especially in areas where people can make more money in the corporate world as opposed to being a ‘teacher’. Our Early Childhood sector is also struggling to find staff. SO, why is this 'crisis’ such a big deal? There are a number of reasons and unintended consequences that arise because of the teacher shortage, and people should be worried. I call it the INTERUPTUS Issue. Let me draw a written picture of the situation using Auckland as the example. I use Auckland because it is my context, and we are confident that these same impacts are either in or near your part of the country already or they are not far away! I know other parts of our fabulous country say ‘oh its just Auckland, who cares about them’ but it is unwise to be complacent! There but by the good grace of the Universe go any of you! 1. EDUCATION INTERUPTUS - There is a whole generation and cohort of students who are getting shortchanged in their education. They are facing an inconsistent education because in some cases they are having a series of part time teachers. My own daughter is about to have her 5th teacher for one of her subjects this year – and we are only half way through! Ask yourself this – if a student has spent a significant amount of their education with a series of inexperienced teachers, year after year, or a new teacher each week/term because they cannot replace the teacher, what happens to their education? What happens to the relationships they need? What happens if the only teacher they have is one that would not perhaps make it under ideal circumstances, but because a school is desperate to have a live, breathing human in front of students that is what they get? 2. CLASSROOM INTRUPTUS – how many times have parents gone to drop their child off in the morning only to see the sign ‘Room X is split between the following classrooms today due to not being able to find someone to teach the class’. Ask yourself this: What does this do to the students, being split up and routines disrupted? What does this do the class that has to cater for the additional students, and what does it do to the teachers that have to add another 5 or 10 students into their class? How conducive to teaching and learning is that? 3. LEADERSHIP INTERUPTUS – Where schools can, they use senior leaders to take classes or be the ‘reliever’. As a leader, I love the opportunity to work with the students in my school, but it is not the answer to use me as the ‘reliever of choice’. The first few days are great reminders of why we became teachers, and I get an immense amount of satisfaction teaching. But it is not sustainable. I then have to add another working day to the end of that day in order to do the things I would have been doing instead. Teaching principals understand this well (and as an ex Teaching Principal I know how difficult that juggle is). Last year I needed to put one of my senior leaders into a class fulltime because I was unable to replace a teacher who left mid year. To do this meant loading up the rest of the senior leaders who were already juggling big work loads. At best it is a temporary solution and an ineffective one at that! I am grateful I was able to do that because I have colleagues who were not so fortunate and they have had to permanently split classes (loading up teachers) to solve the issue. Ask yourself this: What does this do to workloads? How does this help retain staff? Why would anyone enter leadership in these conditions? The flow on effects from this crisis are huge. I heard talk by one group of leaders looking at ways to solve this lack of teachers that one option to explore might be to go to ‘studentless days’. Some of you may be old enough to remember the oil crisis of the late 70’s where the notion of ‘carless days’ were introduced. People had a sticker on their windscreen nominating a day where they were not to drive their vehicle. It was not popular. Imagine if schools started saying – ‘no year 1 or 2’s on a Monday’,or ‘Yr3/4s on Wednesdays’ in order to maximize the teachers they do have on site. That would be ‘FAMILY INTERUPTUS’!. I can sense your collective roll of eyes from here – but desperate times could require desperate measures! · Teachers are coming into work when they are sick because they are trying to save their colleagues the stress of a split class or their students not having a teacher. 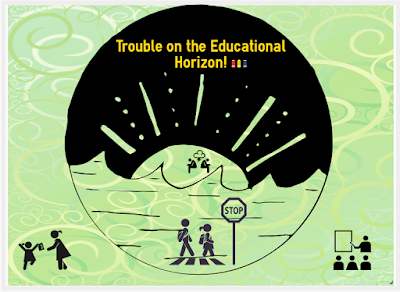 · Some schools are having to double classes – from experience, let me tell you that teaching 60 plus kids is hard work. · Teachers, who live in Auckland and other expensive places like Queenstown, are leaving the city/town in droves looking for a chance to buy a house and make their wage go further. When they leave, they are not being replaced by the ‘next wave of teachers’. There is no ‘next wave’. · Most importantly – it is our students, the next generation, that are being impacted on right now buy this crisis. It is only because schools are being creative that things are ‘sort of’ ticking along. It is a Band-Aid at best and that Band-Aid has run out of stickiness! The last time we went on strike as a profession was in the 90s. It was early on in my career and I recall marching down George Street in Dunedin, seeking pay parity. We do not like causing disruption to our students and their families – I do not know how many times I have sat in meetings and accepted ‘crappy’ offers (at one meeting we even discussed forgoing a pay increase in order for schools to get more operational funding, so it is never about pay) because we want change for our students. So strike is not ever a first option. But, I sense a similar groundswell of frustration to the pay parity movement. Teachers and leaders have had enough. Every time one of our profession leaves the rest of the teachers have to pick up the slack and let me be clear, there is no slack left and most of the goodwill that respective Governments have capitalized on and abused over the last decade of underfunding and disrespect to the profession has gone. It is a shame that the current Government is left carrying the can for the previous mistreatment but the teachers in our country are hurting, they are struggling to make ends meet and they are over it. Trouble is about to boil over! Please understand this is not just about Pay and it is not just about Auckland – pay will help, but it’s much deeper than that. And when I say this teacher shortage is serious – please understand that if we do not do something about making it affordable to teach in our cities, attractive to want to be a teacher, and do something about ensuring our teachers and leaders have the time to manage the workload –then your child, your neighbours child, the child you see walking into your local school or the child about to leave school that you employ to work in your business or alongside you – they are the ones that are going to be shortchanged. That trouble that is brewing on the horizon – I think it is already here!